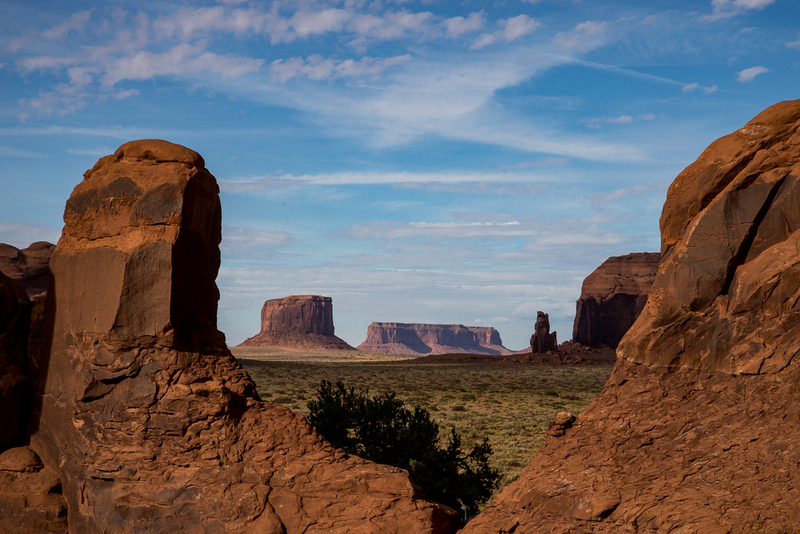 Monument Valley, Arizona, a Navajo Nation Monument Valley Park residing in the northeastern corner of the state. When photographer friends and I were there in the fall of 2015, the temperatures were near 100°, dropping a few degrees at night. A waning full moon peeked around the monoliths. 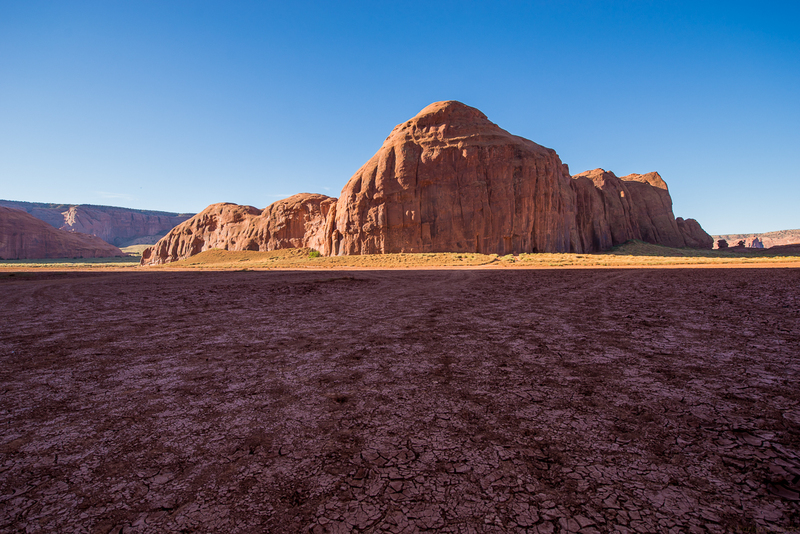 This part of Arizona and Utah had been the recent scene of flash floods. Instead of dry, desert conditions, there were lots of green areas. 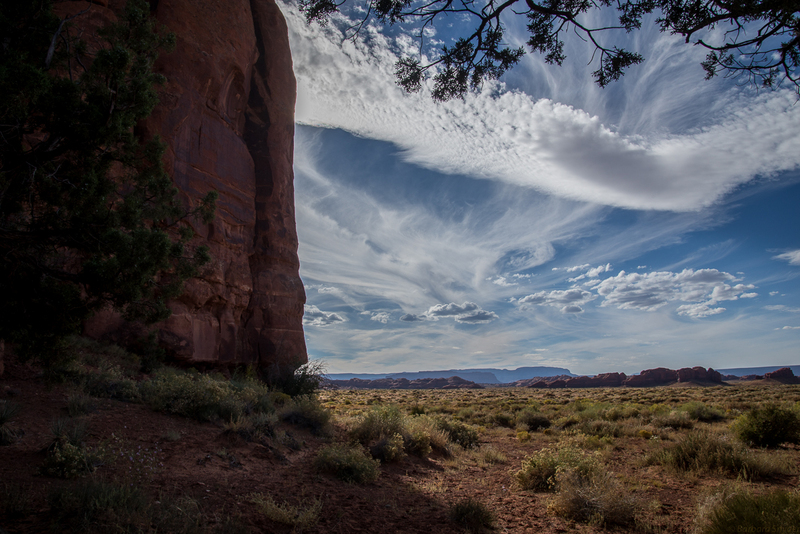 The petroglyphs shown here tell the story of the valley – erosion is slowly taking pieces of history away. 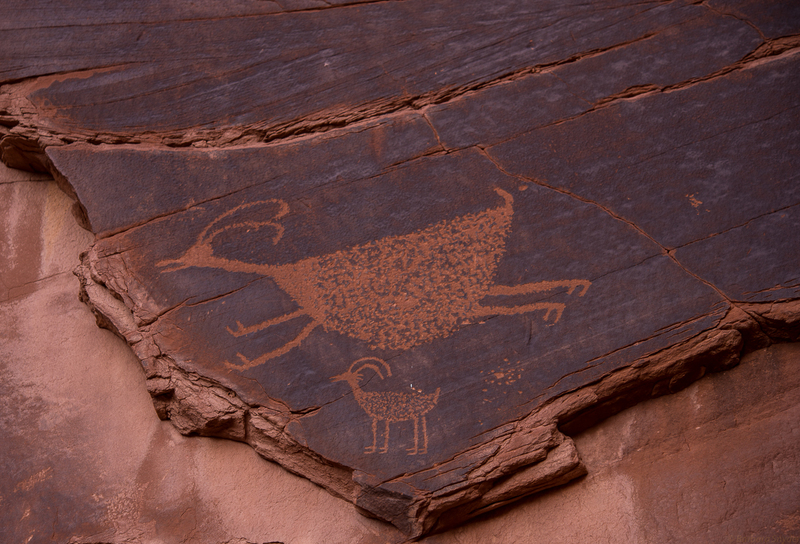 Our Navajo guide showed me a spot where a petroglyph flaked off – much like this one is doing. 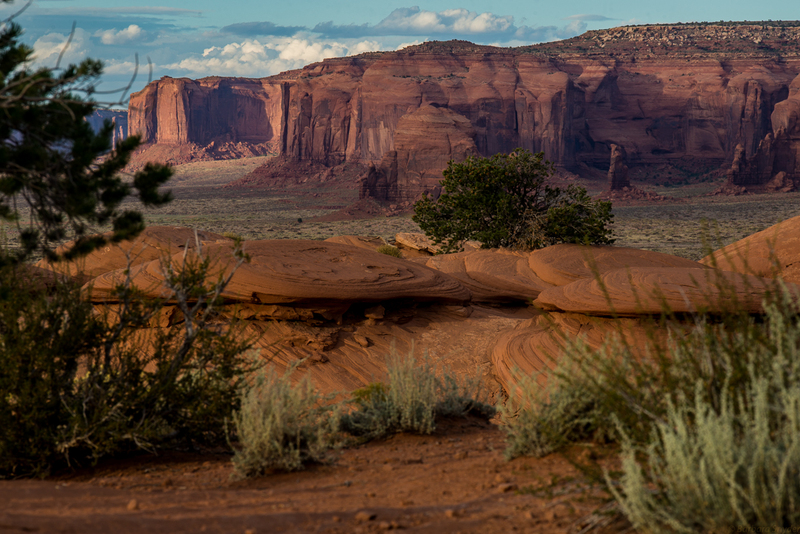 These symbols were carved by the Anasazi hundreds of years ago and now the Navajo’s guard them. Standing in front of the petroglyphs, looking north shows the remnants of the recent flood that made a temporary lake in the valley. 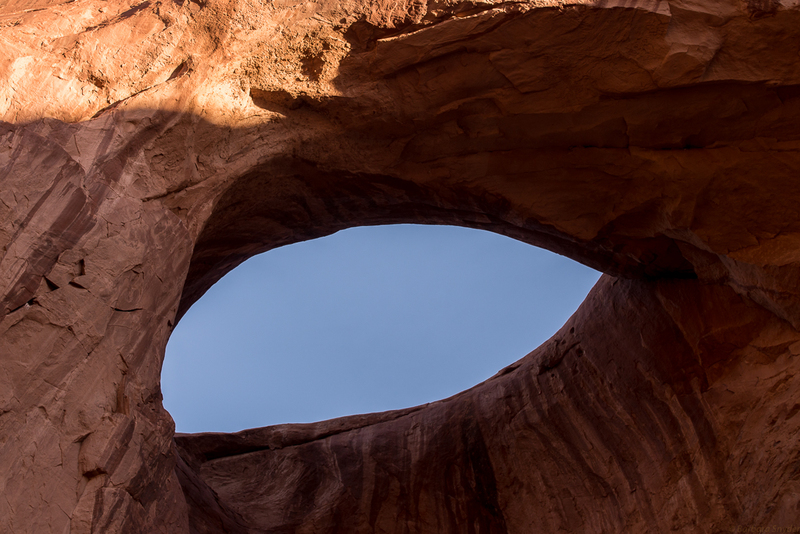 The Eye of God towers above the valley floor shown above. The Ear of the Wind. The boomerang cloud promised a beautiful sunset. Flying saucers landed here! Our Navajo guides (Ray Begay and his son) and our two Chevy Suburbans drove (what felt like) straight up a rock face to get to these saucers. This whole area was originally a vast lowland basin. 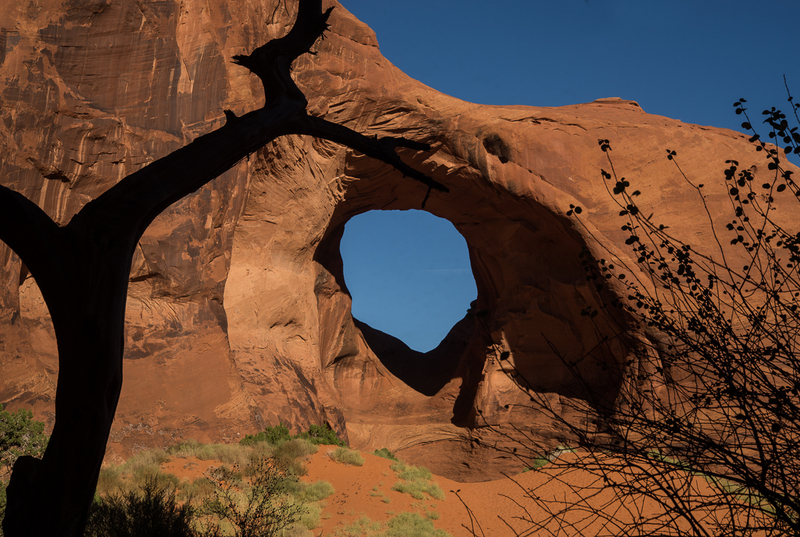 Over millions of years, wind and rain eroded the basin, volcanic activity happened and uplifts created different strata of sandstone that gradually made these buttes – some of them are 1,000′ high. Sunset, day is done (almost, we still had to drive down the rock face and back out to the highway). Sunrise the next day. Onward to Utah. Thanks Carol, maybe in future I can share in your backcountry trips!